British Foreign Secretary Boris Johnson responded today to Israel's historic operation to obtain Iran's nuclear archive, which uncovered over 100,000 documents detailing Tehran's nuclear program. 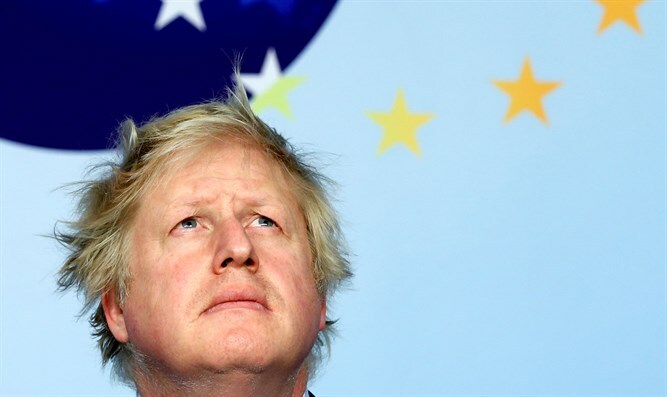 "The Israeli Prime Minister’s presentation on Iran’s past research into nuclear weapons technology underlines the importance of keeping the Iran nuclear deal’s constraints on Tehran’s nuclear ambitions," Johnson said. "The Iran nuclear deal is not based on trust about Iran’s intentions; rather it is based on tough verification, including measures that allow inspectors from the International Atomic Energy Agency unprecedented access to Iran’s nuclear programme. "The fact that Iran conducted sensitive research in secret until 2003 shows why we need the intrusive inspections allowed by the Iran nuclear deal today. The verification provisions in the Iran nuclear deal would make it harder for Iran to restart any such research. That is another good reason for keeping the deal while building on it in order to take account of the legitimate concerns of the US and our other allies." Netanyahu last night revealed the purpose of Iran's secret nuclear program, Project Amad, was to design, produce, and test five nuclear warheads, each with an explosive yield of 10 kilotons of TNT, for integration with ballistic missiles. "That's like 5 Hiroshima bombs to be put on ballistic missiles."